Today, Burlington’s economy revolves around education, health care, and trade—with two of the biggest employers being the University of Vermont Medical Center and the University of Vermont. The city has a relatively high poverty rate of 25.1 percent (between 2009 and 2013) compared with the rest of the state, but has a lower unemployment rate (2.6 percent compared to a state rate of 3.7 percent). A key challenge for the city is rising housing costs, as low unemployment coupled with the city's increasing attractiveness have resulted in housing demand outstripping supply. Burlington has a burgeoning reputation as a major center of community wealth building institutions specifically, and sustainable business practices more generally. Famously, Ben and Jerry’s Ice Cream began in 1978 at a renovated gas station in the city. While now owned by a global business (Unilever), it still retains its commitment to sustainability, social justice, and progressive causes—recently becoming one of the first wholly-owned subsidiaries to receive B Corp Certification. In recent decades, Burlington has developed a plethora of community wealth building institutions, many tied to former Mayor and current United States Senator Bernie Sanders. Its largest housing development—the Northgate Apartments—is resident-owned with provisions to maintain permanent affordability (a development directly tied to Sanders whose administration fought off attempts by developers to turn the property into luxury condos). It has many cooperatives and employee-owned companies. Its largest grocery store, City Market, is a consumer cooperative that serves more than 4,000 people per day. 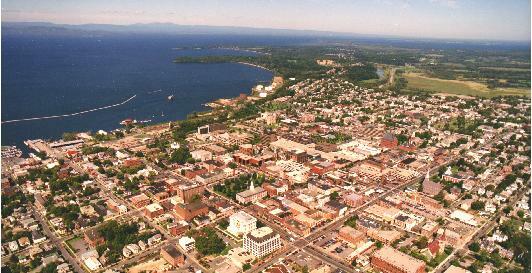 Burlington is also home to one of the most advanced Community Land Trusts in the United States, the Champlain Housing Trust, which was formed when the Burlington Community Land Trust and the Lake Champlain Housing Development Corporation—both of which were created in 1984 during the Sanders administration with financial support from the city—merged in 2006. The city’s publicly-owned electric utility—the Burlington Electric Department—is perhaps one of the greenest utilities in the United States. At a larger scale, the state of Vermont also has one of the two existing publically supported centers for worker coops and other employee-owned businesses. The Vermont Employee Ownership Center (headquartered in Burlington) was formed in 2001 when Sanders, then a Congressman, secured federal funding for the center and a revolving loan fund to support employees seeking to form an employee-owned business. Based in Burlington, UVM Medical Center serves over 1 million people across Vermont and northern New York. The Center aims to be the greenest healthcare organization in the country and has a particularly strong focus on promoting a local, sustainable food system. As such, the food it serves comes from 70 regional farmers and producers as well as from its own gardens and beekeeping initiative. UVM Medical Center also includes a Center for Nutrition and Healthy Food Systems, established to educate other health care institutions about building a sustainable food system. Established in 1954, Greater Burlington Industrial Corporation (GBIC) focuses on attracting, retaining, and expanding sustainable jobs in the Lake Champlain region. To do so, GBIC has developed seven industrial parks and helps businesses identify and connect to capital, financing, workforce development and training programs, and other needed resources. GBIC also coordinates the creation of The Chittenden County Comprehensive Economic Development Strategy (CEDS), an annual report authored by citizen work groups that documents all economic development activities in the county. Based in Burlington, North County Federal Credit Union is a credit union open to anyone who lives, works, studies, or worships in northern Vermont. As of 2014, North Country had nearly 34,000 members and held over $454.7 million in assets. Committed to the community, North Country underwrites college scholarships, supports community events, and funds quality childcare for single, low-income parents re-entering the workplace. Committed to serving low-income Vermonters, Opportunities Credit Union aims to build wealth, community, and opportunity through a fair and affordable financial system. Since its establishment in 1989, the credit union has served over 19,500 individuals and families, including immigrant and refugee populations resettling in Vermont under the Vermont Refugee Resettlement Program. It also conducts numerous financial education programs, including workshops and one-on-one mentoring. Founded in 1953 as the Burlington Postal Employees Credit Union, Vermont Federal Credit Union became a community chartered credit union in 2001, opening membership to anyone who lives, works, worships or attends school in Chittenden, Grand Isle, Franklin, Lamoille, Washington and Addison counties. As of 2013, the credit union held nearly $395 million in assets. Committed to the community, Vermont Federal supports local charities, community events, youth and collegiate sports, and provides scholarships to several local students on an annual basis. Burlington’s only downtown grocery store, City Market, Onion River Co-op is a 16,000 square-foot food cooperative that provides affordable conventional, organic, and local products. Established as a buying club in 1973, the co-op currently has over 11,000 members and more than 4,000 customers a day. Committed to the environment, City Market has a solar-paneled roof and runs numerous initiatives to help reduce its carbon footprint, including offering a 5 percent discount to bicyclists. Founded in 1990 to provide the greater Burlington community with affordable, high-quality, organic produce, the Intervale Community Farm (ICF) is a member-owned, CSA farm that serves around 500 member households. In contrast to typical CSA farms, ICF is owned by interested CSA members through a consumer cooperative, and its farmers are hired workers. While the farm now produces 9 months out of the year, it is in the process of repurposing a former compost site to extend its operations across all four seasons. Its expansion will include a new greenhouse complex, expanded pick-your-own fields, and new storage and distribution facilities that can support a 12-month CSA share option. Headquartered in South Burlington, Hallam-ICS is an engineering firm with expertise in facilities design, HVAC, process controls, and software solutions. Founded in 1981, the firm now has 85 employees and locations in Vermont, Massachusetts, New York, and North Carolina. Hallam-ICS is currently 47 percent employee-owned. Mercy Connections is a nonprofit working to nurture self-sufficiency through education, mentoring, and community engagement. Its Women’s Small Business Program provides one-on-one financial empowerment coaching as well as a range of classes to help women evaluate the merits of self-employment and develop business plans. In FY 2014-15, it is credited with helping 18 women start or expand businesses. With 336 units, Northgate Apartments is Vermont’s largest single subsidized apartment development. Concerned that the owners would convert Northgate into market rentals or luxury condos in the late 1980s, the government, under then Mayor Bernie Sander’s leadership, played a major role in helping convert the complex to resident ownership and establishing long-term restrictions to ensure it remained permanently affordable. As a result of their efforts, the building is now owned by Northgate Residents Ownership Corporation—a resident-controlled, nonprofit organization. Founded in 1988, Intervale Center is a nonprofit committed to strengthening community food systems by improving farm viability, promoting sustainable land use, and engaging the community. For instance, its Farms Program, started in 1990, leases land, equipment, greenhouses, irrigation and storage facilities to small independent farms, enabling them to grow fresh produce –adding around 60 jobs to the Burlington economy. Other initiatives include a food hub and a local conservation nursery. The Center’s programs and enterprises are located on the 350 acres of land along the Winooski River that the nonprofit stewards as a community resource. Catalyzed in 1905 by city officials hoping to reduce the electricity costs for street lighting and residences, Burlington Electric Department is now Vermont’s largest municipally-owned electric utility serving more than 19,600 customers. In 2004, the publicly-owned utility decided to move towards renewable energy, and in 2014 it reached that goal, becoming the first utility of any considerable size in the country to rely on 100 percent renewable energy for its residents' electricity needs, a transition it expects will save the City $20 million over the next two decades. Good News Garage (GNG) is full-service Burlington-based garage that repairs cars and performs general car maintenance. Revenues generated support GNG’s car donation program, which aims to create economic opportunity by repairing and then providing donated cars to people in need. Since its establishment in 1996, GNG has awarded more than 4,000 reliable vehicles to individuals in the New England area. Funded from a dedicated tax approved by voters in 1989, the Burlington Housing Trust Fund provides grants and loans for the promotion, retention, and creation of long-term affordable housing for very low, low, and moderate-income households. Grants are provided to support the direct project, as well as capacity building, costs (such as staffing, training, planning, fundraising, and ongoing operational expenses), of nonprofit organizations working to create or preserve low or moderate income housing. In FY 2016, the Fund plans to provide $337,750 of support to Burlington organizations. 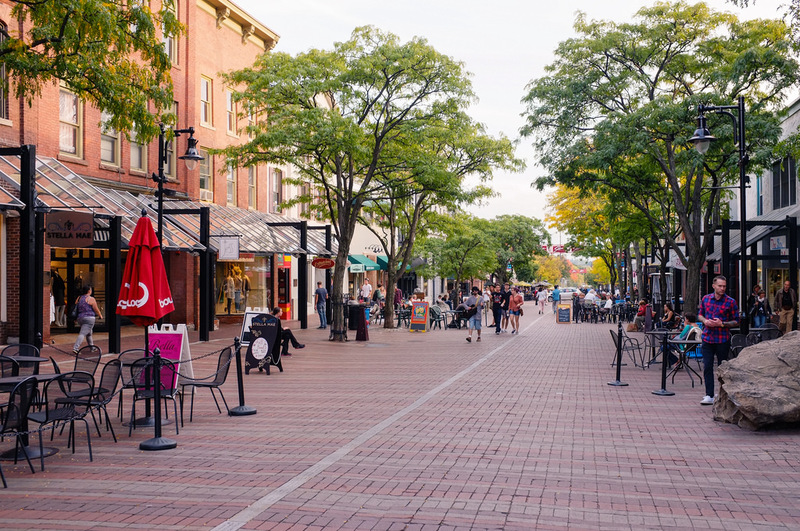 Established in 1983 under the leadership of then Mayor Bernie Sanders, Burlington’s Community and Economic Development Office (CEDO) aims to engage the community to build a vibrant, healthy, and equitable city. Its economic development efforts include targeted assistance to small businesses, microenterprises, and employers who provide livable wage jobs. It also runs the Burlington Revolving Loan Program, which has provided over $10 million in loans to more than 140 small businesses since its inception in 1984. Founded in 1993, Burlington Associates in Community Development is a worker-owned consulting cooperative focused on supporting community land trusts (CLTs) and other shared equity homeownership strategies. To do so, Burlington Associates specializes in developing and evaluating public policies and initiatives that: expand access to shared equity homeownership; protect community investment in affordable housing, transit-oriented development, urban agriculture, and neighborhood commercial districts; ensure the long-term stewardship of housing and other community assets; and nurture a “third sector” of nonprofits that can collaborate with government to deliver essential services to local communities. To raise the standard of practice throughout the CLT movement, Burlington Associates developed a web-based CLT Resource Center in 2005 through which people can freely access training materials, technical documents, and research reports focused on the model. Red House is a full-service building company with expertise in new construction, historic restorations, renovations, additions, cabinetry, custom woodworking, and metalworking. After a decade working as a small custom building firm, Red House re-structured itself in 2003 as a worker-owned cooperative to nurture an environment that values employee creativity, energy, and commitment. More than one-half of Red House’s 20 employees are now worker-owners.